The torment of the Palestinian people in the remnants of Palestine has never been greater. I came back from my tenth visit to remnants of Palestine 23 November 2008. I was with 15 other health professionals. We were to spend 3 days in Gaza where the Dove and Dolphin charity does its best - one step forward, and fifty back. We were barred from Gaza, as were UN and Oxfam personnel as well. I found the torment of the Palestinian people to be as great as ever. I had intended going early to Gaza so that I could help push the Radio Dolphin and Audiology and Speech Therapy Outreach Clinic in Rafah forwards. Normally I enter Gaza without much trouble. I noted my intention to enter Gaza at the end of September but this time the Israeli Occupation Force was still 'considering' that intention when I was due to fly. Could it be that Israel did not wish outsiders to see the desperate state of many families in Gaza? I keep in regular contact with Dr Khamis Elessi by 'phone and with Nihad Taha, our representative, by e-mail. One thing you do not hear about. The electricity is on for about 6 hours in a day because the flow of diesel into Gaza is greatly restricted by 'Israel'. When the power comes back on through dilapidated systems there are surges and the lights are seen to flick on and off a dozen times. One night Khamis was woken by the smell of burning. He found that a fluorescent tube had fallen onto the settee and this was burning. The toxic black smoke was all about. The family was roused and saved. He woke his brother next door. The same had happened in his home. There is no possibility to fit new tubes and fittings because of the medieval siege. The cost of all the repairs, which will include new thermal cut outs on the refrigerator motors etc, will be 4000 dollars. A cease fire had been negotiated by Egypt between 'Israel' and the Hamas government effective from mid June. There were sporadic Qassam rockets. The agreement was broken on the Israeli side by firing on fishing boats and the siege was not eased as agreed. On 4 November, there was an invasion by Israeli special forces in search of an alleged tunnel. It was reported that tanks and 7 Apache helicopters were involved. 6 Palestinians were killed that night. Since then there have been frequent hand made Qassam rocket launchings into Israel. 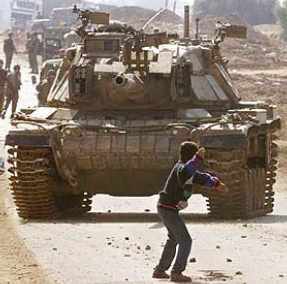 At least 4 Palestinian children have been seriously injured by 'misfires' of resistance weapons. There is almost daily killing and severe injury of Palestinian guerillas and civilians by sophisticated Israeli missiles. There is widespread fear of a general invasion by 'Israel'; several political leaders have threatened this. Nihad has moved his family into Jabaliya; their home in Beit Hanoun is vulnerable. At this end, we have spent a good many hours preparing the Trustees' Report for the Charity Commission and in completing the accounts. It is a smaller charity, but with three currencies and only occasional visits by me to Gaza etc, there is a lot to get right. I will leave you with three good things. I visited Lajee Youth Centre whilst I was in Bethlehem. Salah was there with a friendly Australian lady called Daz. The new centre is being finished beautifully. A class on human rights was in progress next door. The teacher had been part of Lajee and is now studying at Bethlehem University. It is agreed that they give something back. The children were very happy and confident in spite of all. Bill Stevens has set up www.ibnzuhrmedicalforum.org/ to help doctors and other health workers connect for meetings, visiting specialists etc in Palestine. It will have dates and details shortly. Nihad will feed it too and help establish a data base. This is Nihad writing yesterday. 'Some days are still to the beginning of the new year and to the opening of the new place for the optic centre. We are working all the day hours in finishing some shelf's, tables and smart décor. We face big difficulties in finding the raw materials, but we do the impossible to make nice and cheap works. After the opening of the centre inshaallah, I will send you details for another project that can support the medical sector here. I work on preparing this proposal with a team of different specialties and societies. Our works are small, but have big sound.' Resilience and eternal optimism. Finally, this is the link to our 2008 newsletter which has been printed and sent to those without a 'computer'.